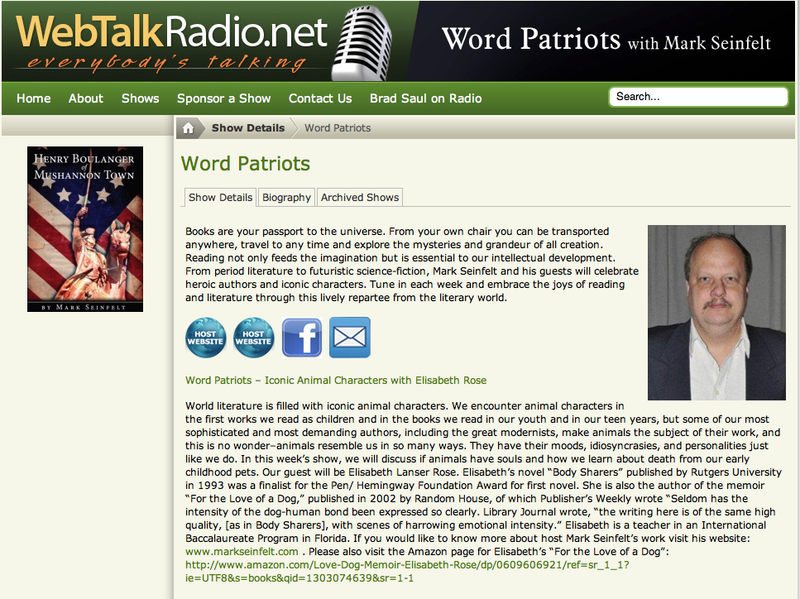 Mark Seinfelt will host one of America’s foremost writers, whose innovative works of fiction include Omensetter’s Luck, Willie Masters’ Lonesome Wife, In the Heart of the Heart of the Country, Cartesian Sonata and The Tunnel, on the November 21 edition of his Word Patriots webcast on WebTalkRadio.net. Maximum Fiction received the following press release concerning the show from WebTalkRadio.net. 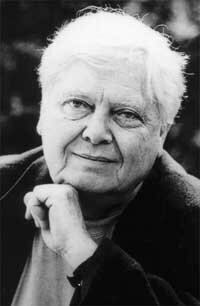 CHICAGO, IL— If anyone in America is still writing today as if the world were well lost for art that person is William Gass. In 1995 he published The Tunnel, a book he spent 30 years writing, and which many consider his masterpiece, and one of the finest American novels of recent times. He has recently completed a new novel Middle C, which grew out of a novella that escaped its cage and ran away. It is about a music teacher in a small college who has got his position with dishonest documents and kept his position by his wits and the dim wits of his colleagues. Gass is equally important as a critic and his theory of fiction manifests itself in both his criticism and his fiction. His seven volumes of essays include Habitations of the Word, Finding a Form and Tests of Time, all of which earned him National Book Critics Circle Awards for Criticism. He has received numerous other awards as well. His Reading Rilke: Reflections on the Problems of Translation received the PEN/American Nabokov Award and his most recent volume A Temple of Texts (2006) won the Truman Capote Award for Literary Criticism. Gass will guest and read from Middle C on the November 21 edition of Word Patriots, a weekly show about the joy of reading that features authors discussing books that range from period literature to futuristic science fiction. Previous guests include Diane Ackerman, Tawni O’Dell and James Morrow. The show is hosted by author Mark Seinfelt, whose study of famous author suicides Final Drafts was selected as an alternate selection of the Readers’ Subscription Book Club in 2004 and whose novel Henry Boulanger of Mushannon Town won the 2010 Pinnacle Book Achievement Award in the Historical Fiction category. The show is distributed by WebTalk Radio, which is home to more than 100 shows ranging in topics from business and entrepreneurship to holistic health and outdoor activities. To learn more about WebTalk Radio visit their Web site WebTalkRadio.net.